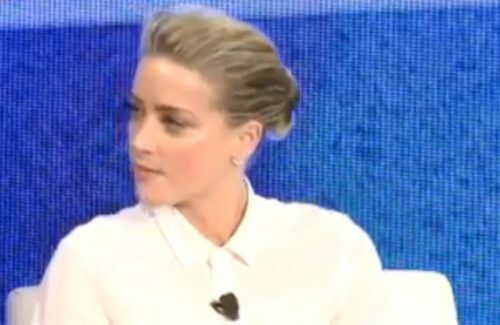 Hollywood has a diversity problem, according to bisexual actress Amber Heard. The Magic Mike XXL star recently spoke at the The Economist’s annual Pride & Prejudice conference. At the annual event, which describes itself as a “global discussion on why LGBT-inclusion is good for business,” Heard tackled the film industry’s struggle to keep up with the mainstream with regard to diversity and inclusion, in terms of gender, sexuality, and race. She blames this slow pace of change, in part, to the reluctance of Hollywood celebrities to be openly gay, lesbian, or bisexual. It’s not that the industry is without LGBTQ actors and actresses, even high profile ones, they simply aren’t interested in sacrificing that piece of their privacy. Heard, who came out in 2010, talked about the challenges she faced out on that limb. It wasn’t easy being a trailblazer, she said, but it’s less lonely now. While it’s true that more high-profile actresses have come out as lesbian, bisexual, or fluid, there’s still a deafening silence among the men. She believes more actors coming out could represent a sea change.